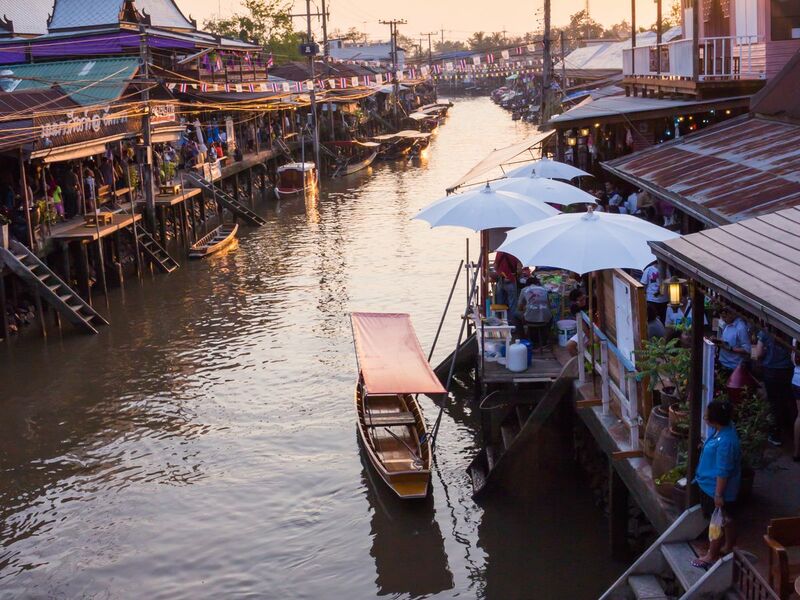 Touring, shopping and sightseeing in Amphawa Floating Market. Go to Maeklong Railway Market. Unseen railway market in thailand. Go to Amphawa Floating Market. The Floating market brought safely soak up local atmosphere. Local producrs and handmade sailling see how life(EXCLUDE CRUISES) and lunch thai food include trip fee. Go to Bangkung Temple. See Chapel in the tree. Enjoy local atmosphere In a statement savings. Safety trip.